As Wim Wenders admits, the use of sound in Wings of Desire (Der Himmel über Berlin) is critical to understanding his seminal and multi-award wining film. 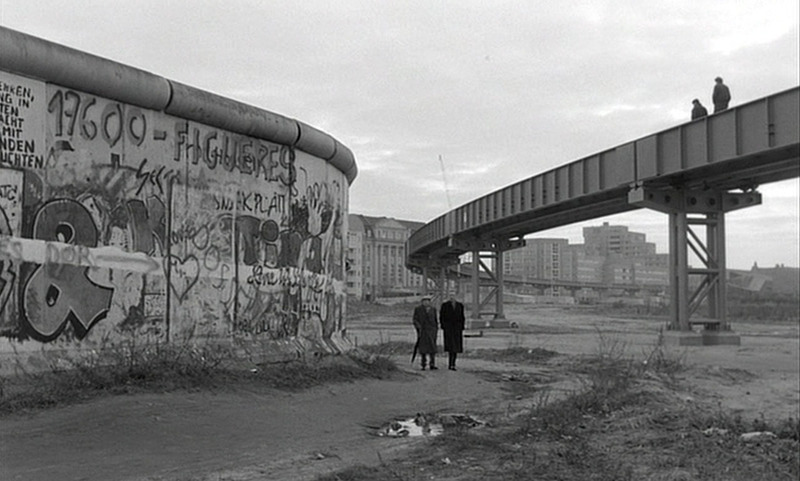 Released prophetically in 1987, just a few years before the fall of the Berlin wall, the film eavesdrops on a city from the perspective of Damiel and other ‘fallen angels’ who roam the skies of a divided Berlin, comforting its inhabitants, by listening to their thoughts. Beyond its romantic fantasy plot, Wings of Desire is a story about auditory borders. We hear dividing lines built from the city’s fiendish history, and ones that emerge from the struggle to survive, to maintain identity and memory. While strolling around urban wastelands we are asked to consider how these acoustic territories are defined, and are invited to contemplate how we listen to our own inner voice. For PoL, Maria Papadomanolaki, artist and current CRiSAP researcher, will introduce the movie and discuss angelical and inner listening in relation to the film’s inhabitants along with the material, spiritual and vertical sounding divides we are confronted with throughout its narrative. The talk and viewing is followed by a post-screening discussion.